1.1. 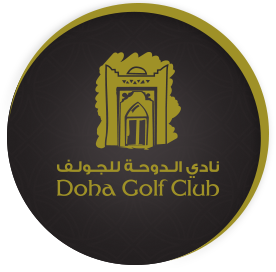 Doha Golf Club (here in after referred to as DGC or the Club) will set annual membership fees, membership numbers and general charges which shall be applied to all members, guests and visitors. 1.2. It is at DGC’s sole discretion to alter, revoke or amend these rates, rules and regulations, and make future amendments on any matters as it sees fit. All members will be notified via email as well as through information posted on the notice board within the Club if any alterations, revocations or additions to the policy are made. 1.3. DGC is the sole authority on the interpretation and application of these rules and regulations. 1.5. DGC is empowered to restrict members, guest or visitor access to the whole or part of the Club for any length of time as it sees fit. Whenever possible, advance notice will be given to members. 1.6. Where any loss or damage to DGC property is caused by any person using the club, that person shall be responsible for the prompt repair or replacement of the property and shall indemnify DGC against any costs or expenses incurred by the Club in repairing or replacing such property. No property shall be removed from DGC without the express permission of the General Manager. 1.7. Property left on Club premises (other than allocated storage as per membership agreement) for more than six months without being claimed by the owner shall be sold without notice by the Club. DGC shall retain any proceeds from this sale. 1.8. All persons entering the DGC premises and using the Club’s facilities shall do so entirely at their own risk. All such persons shall be responsible for their own safety and for the care of their belongings. Neither the Club, nor any of its directors, employees, agents or contractors, shall be liable for any injury (including loss of life) incurred by such persons, or for loss or damage to their belongings. 1.9. 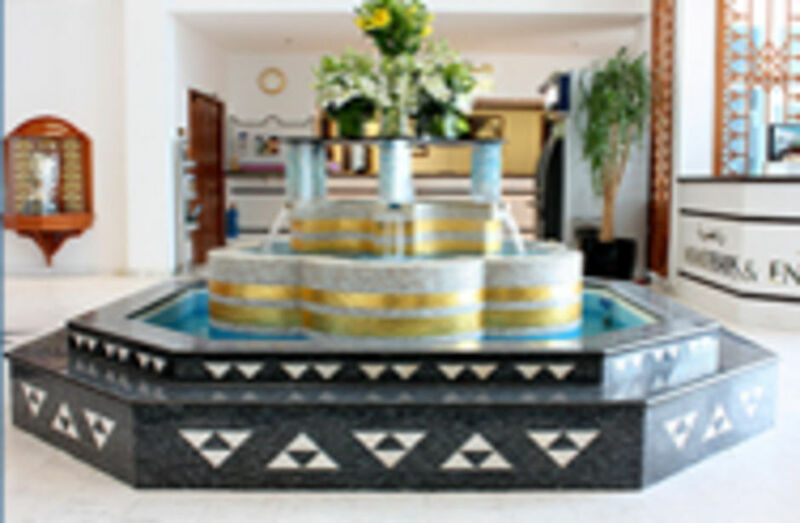 All persons entering the DGC premises and using the Club’s facilities shall fully and effectively indemnify the club against any cost, claim, loss, liability or expense DGC may incur as a direct result of that person causing injury (or loss of life) to any other person, or loss or damage to any other person’s property. 1.10. All complaints regarding the Club and its operations should be made to the relevant department head. Any suggestions or comments will be gratefully received and considered by the Management. 2.1. DGC will fix the membership categories, benefits, numbers and rates. 2.2. Membership renewals will be due for payment on the 31st of December each year. On receipt of the annual membership payment, the member’s club card will be issued. If payment of the annual membership fee is not received by 1st January, the membership will be terminated effectively. 2.3. There will be a membership card (QR30) and a locker key (QR20) replacement fee policy if lost, stolen or damaged. 2.4. DGC must be notified of amended postal address, email and telephone numbers. 2.5. Members are not permitted to post or publish articles on DGC notice boards or other display counters without approval being obtained from the Management. 2.6. All memberships are non refundable but transferable for QR2,500. 2.7. Children of members reaching the age 18 will be considered liable to pay adult membership fees. 2.8. Junior membership fee will not be pro-rated. 2.9.1. Give false information on application for membership. 2.9.2. Permit his or her membership to be used by another person. 2.9.3. Exhibit unsatisfactory behavior or appearance whilst on DGC premises. 2.9.4. Failure to pay his or her membership fee. 2.9.5. Failure to abide by the Rules & Regulations as set forth for use of DGC facilities and services. 2.10. Where membership has been suspended or terminated, that member shall not be entitled to a refund of any registration, annual or monthly fees. 3.1. Members are kindly requested to display or present their membership card for identification in Doha Golf Club premises. 3.2. Persons obtaining a Premium or a Weekday Membership (single, family or corporate) will be entitled to obtaining bag, shoe and locker storage subject to availability. 3.3. Persons obtaining other membershipscan purchase storage for QR2,500 subject to availability. 3.4. Members will receive a discount in F&B outlets and in the ProShop.T&C’s apply. 3.5. Members discount will not be applied for private functions/events or society gatherings. 4.1. Doha Golf Club reserves the right to group players together if requesting similar tee-times. Should you wish to have the tee time(s) exclusively for your group, players are required to pay for the 4 slots. 4.2. Members may reserve a tee-time online through memberzone, by telephone, email or directly at Reception. 4.3. Members may reserve a tee-time in advance according to their membership category. 4.4. Reservations require full names of all players upon booking. 5.1. Cancellations must be done one day before a scheduled booking. All cancellations will be recorded by the DGC Reception accordingly. 5.2. Due to bad weather(thunder, lightning and sandstorm) no fees will apply for late cancellations. 7.1. Weekday members will be permitted access to the courses at no additional fee during Eid and Public Holidays. 7.2. During Eid and Public Holidays DGC will implement its weekend policy. 8.1. Golf buggies will only be issued to players with a start time booked for the Championship or Academy Course. 8.2. Golf buggies may carry a maximum of two players and two golf bags. 8.3. Each golfer is required to play with a set of golf clubs. Sharing a set is not permitted. If players do not travel or own a set of golf clubs, the player/s may hire a set at DGC at an additional cost. 8.4. No junior under the age of 16 will be permitted to drive the golf carts. Please note there can be NO exceptions and this is a decision that has been made after consultation with the Clubs legal team. If a junior was to have an accident on property whilst driving one of the carts, there would be serious, legal implications and those who allowed the junior to take the cart could face legal proceedings. 8.5. Buggies are only permitted to be driven on the fairways and buggy paths when provided. Players should not approach within 30 meters of any green unless on the path. 8.6. Any person obtaining a buggy will be wholly responsible for any injuries or loss of life to himself or other parties. 8.7. Any persons obtaining a buggy will be wholly responsible for any damages caused by their actions and must reimburse DGC the full amount of any damages. 8.8. All players must follow the marshal’s instructions regarding use of buggies whilst on the course. DGC will remove players that do not adhere to the marshal’s instruction regarding rules and etiquette. Any abuse (verbally or physically) towards marshals will result in removal of player from the course. 8.9. Buggies are subject to availability. 8.10. If it is felt by DGC staff that any of the above are not being followed DGC reserves the right to remove buggies from the courses. 8.11. Under no circumstances may a person stand on the back of a buggy either while it is stationary or in motion. 9.1. A handicap limit of 28 for men and 36 for ladies will be applicable for the Championship Course. 9.2. If a guest is not a current member of a club then a copy of a previous handicap will suffice. *Exception – non handicapped players will be permitted to play in corporate golf days if requested by organizers. 9.3. Players without a handicap will be permitted to play 3 x 9 hole rounds on the Academy Course and an unofficial playability handicap will be issued to allow access to the Championship Course. 9.4.Players without golf experience cannot access the courses. Please refer them to our coaching. 9.5. All green fees are payable at the Reception before a tee time and under no circumstance are starters authorized to accept payment. 9.6. All players must report to the Starter 10 minutes before commencing play. 9.7. Starting times will be at 8-minute interval on the Academy Course and 10-minute intervals on the Championship Course and may be changed at the discretion of DGC. 9.8. Appropriate golf attire is required for all players. Polo shirts with collars and sleeves are required. Golf trousers, shorts or golf skirts are required. Under no circumstances will sportswear or denim permitted. Turtleneck shirts as manufactured by golf apparel suppliers are permitted. 9.9. Golf shoes with metal spikes are not permitted on the golf courses at all times. 9.11. All golfers should rake bunkers, replace divots on the fairways and repair pitch marks on the green. 9.12. Course closure is at the discretion of DGC. 10.1. In the event of bad weather (thunder and lightning) DGC strongly recommend players to evacuate the courses immediately and DGC will assist where possible. 10.2. Players who remain on the course do so at their own risk and DGC cannot be held responsible for loss of life or injury. 11.1. No animals or pets will be allowed in the Clubhouse and on the golf course except with the express permission of the DGC General Manager. 11.2. No person may bring their own food, drink or other refreshment onto DGC premises. 11.3.1. Members and visitors entering the Club premises shall be expected to dress in a manner befitting the surroundings and atmosphere of DGC. 11.3.2. Members are responsible for ensuring that their family members and guests are appropriately attired at all times. 11.3.3. Members and visitors are kindly requested to remove caps when entering Oasis Lounge. 11.3.4. Exceptions to the above dress regulations may be made for special events as approved by the General Manager. None of the above regulations shall prohibit the wearing of national dress in all areas of the Club. 11.4. Members and guests are respectfully requested to shower before utilising outlets. 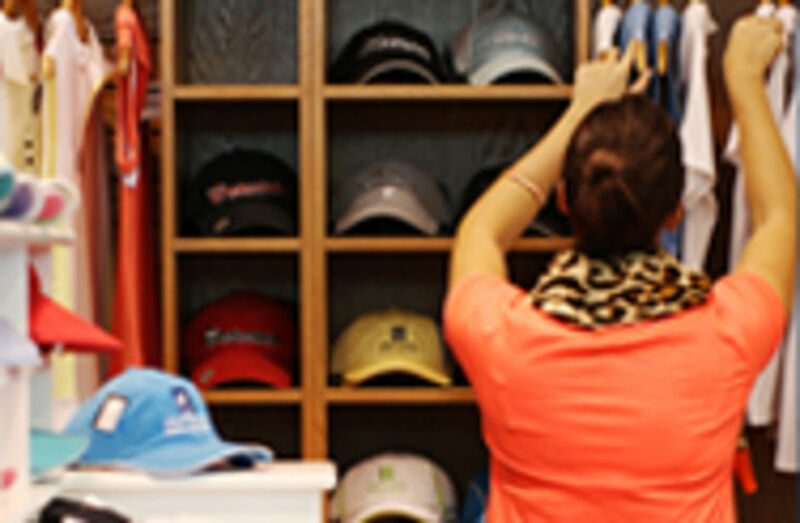 DOHA GOLF CLUB RESERVES THE RIGHT TO REFUSE ADMISSION TO THECOURSES AND OUTLETS TO ANY PERSONS CONSIDERED INAPPROPRIATELY DRESSED. 12.1. Range balls are provided by the Club and may only be used on the Driving Range and chipping greens. These balls must not leave the Driving Range area and members of staff have authority to enforce this. 12.2. Chipping is only permitted from the designated areas. 12.3. Please be aware of others around when hitting golf balls and only swing golf clubs in the designated areas in the driving range and practice areas. 12.4. The teaching professionals are authorized to restrict or control use of the Golf Academy and are the only persons permitted to teach on the premises. 12.5. Suitable golf attire is required at all times at the Golf Academy. 12.6. Covered bays are provided on the Driving Range and are to be utilized when requestedduring the day and during the summer months. Members and guests will be permitted to hitfrom the grass during weekdays from 4PM and weekends from 6AM. It is at the discretion ofDGC to permit or prohibit practice from the grass due to rest periods, special events, preparationand maintenance of turf. 12.7. The members’ area is reserved for members only. 12.8. Members’ golf ball allocation is for the member only and accompanying guests must purchase balls if they intend to use the practice facility.